A professional landscape design should blend the natural terrain surrounding the community with the key architectural design elements of the community and home. 1. Approach – This refers to the importance of guiding visitors from the road directly to your front door in an inviting and pleasant manner. The style and design of your front yard will influence the first impressions of your home and property. 2. The Hub – Your entire outdoor design should center on the style and appearance of your home. Choose a theme, a color scheme, and outdoor accessories that complement the structure your property showcases. 3. The Perimeter – Functional outdoor living areas are extensions of your home so it is important to integrate your functional outdoor space with similar rooms inside your home. Connect the outdoor and indoor living areas with doors and blend the natural and modern styles by accessorizing your landscape design with similar furnishings, colors, and decor. 4. Passages and Destinations – Paths and walkways are just as essential to your landscape design ideas as plant life and outdoor furniture. The materials used the look and style of the walkways, and where the garden paths lead help to define the overall atmosphere of your outdoor space. • Color – It is important to use a complementing color scheme throughout the yard choosing the right colors will have a dramatic impact on how the yard feels. • Line – Linear patterns are used to direct physical movement and to draw attention to focal areas in your landscape. • Form – Form can be expressed through trees and shrubs of various shapes and sizes which create natural patterns and flow. • Texture – Plants with varying textures can add to the atmosphere of your outdoor area, anything from large leaf shrubs to upright grasses or even bark from a tree all help create interest in a custom landscape design. • Scale – Your outdoor design should create a natural balance with the size of the home it surrounds, while maintaining a comfortable environment for the individuals who will use the area, this help create tranquility and privacy for the homeowner. 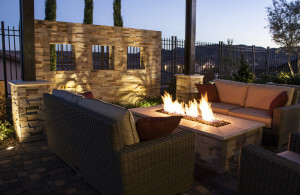 • Unity – One of the basics of landscape design is creating a central theme to build your outdoor plan upon. A unified look is important to a beautiful landscape design. 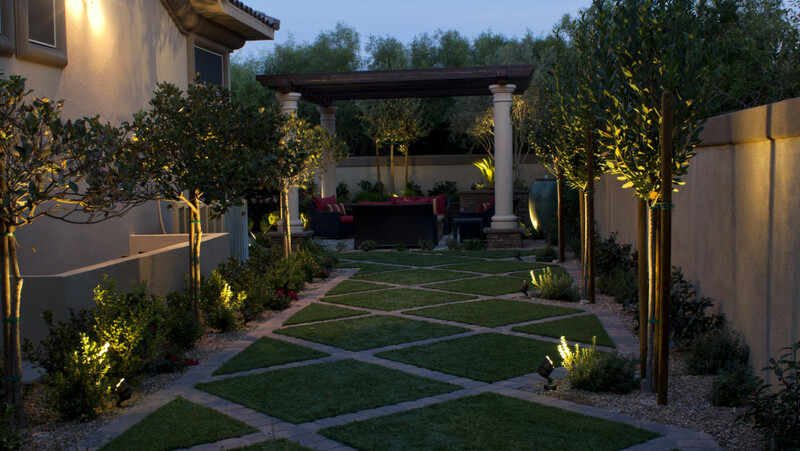 • Balance – The plants, walkways, and other features of your outdoor plan should be laid out in an asymmetrical design that complements the entire yard. • Transition – Changes in colors, plant styles, and accessories will blend better with planned transitions to slowly move into the new look. • Proportion – Plan a design that incorporates trees and shrubs that are relative to the size of the people and things around them. • Rhythm – The patterns created with colors and lines give the landscape design a natural rhythm that is relaxing and enjoyable. • Focalization – With the use of lines, form, and balance, you can develop a landscape design with specific focal points to draw interest and turn heads. • Repetition – Repetition of these patterns and rhythms, in just the right amount, gives your outdoor design the perfect look without being overpowering. 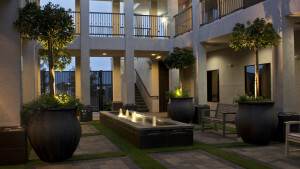 Following these tips will ensure a beautiful and lasting landscape design.